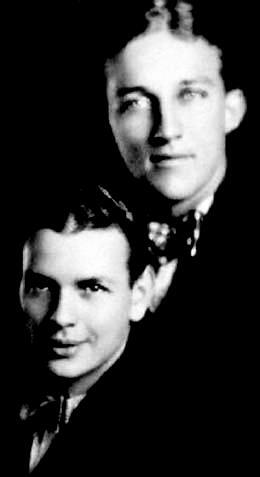 Bing Crosby and Al Rinker had been together in a jazz band in Spokane, Washington while in college. The band was so popular that the two decided to drop out of college and broaden their horizons with a move to Los Angeles. They drove Rinker’s Model T to LA where Rinker’s sister, jazz singer Mildred Bailey, was working. Shortly after their arrival in the City of Angels they landed a gig on the vaudeville circuit, as a vocal act. Some members of Paul Whiteman’s Orchestra, caught their act and recommended them to Whiteman who hired them in October of 1926. While waiting to join Whiteman’s Orchestra they made their first record “I’ve Got the Girl” with Don Clark and His Hotel Biltmore Orchestra, at the Biltmore Hotel in Los Angeles (506 South Grand Avenue). Bing and Al then joined the Whiteman Orchestra in Chicago, where they made their first records with Whiteman. At first, things didn’t go well for Crosby and Rinker. 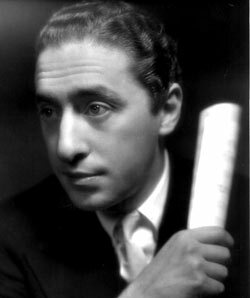 Whiteman’s audience didn’t like them and the theatre manager where they were playing at the time asked that they be dropped from the act, but rather than drop them, Whiteman added a young singer and songwriter, Harry Barris to the act. 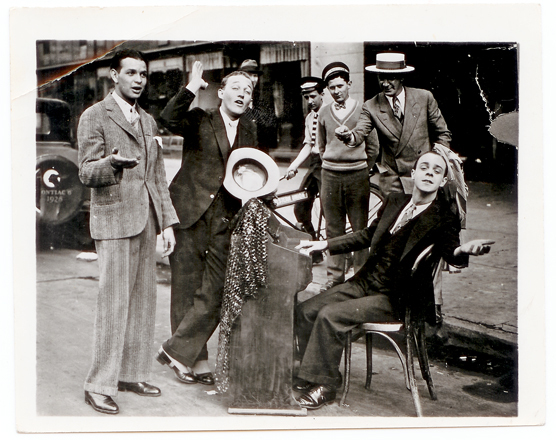 The act was billed as the Rhythm Boys. The trio sang in three part harmony with both Rinker and Barris playing piano. Barris wrote a song called “Mississippi Mud” which became a hit for the Whiteman Orchesta. It featured Bix Beiderbecke on cornet. But after awhile, Whiteman and Crosby were not getting along. Bing drank a lot had landed in jail a couple of times. He missed some of the filming of Whiteman’s movie “King Of Jazz,” after being involved in an auto accident while driving drunk. Whiteman pulled some strings and got Bing released from the jail. Crosby was escorted in handcuffs to the studio by a police officer whenever he was scheduled to appear in the film. 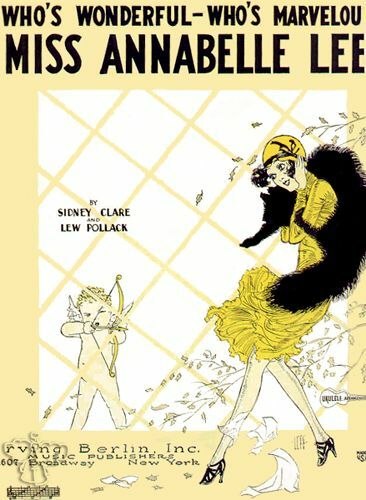 After the movie was completed in 1930, Whiteman fired them. The Rhythm Boys then joined the Gus Arnheim Orchestra at the Cocoanut Grove in Los Angeles. 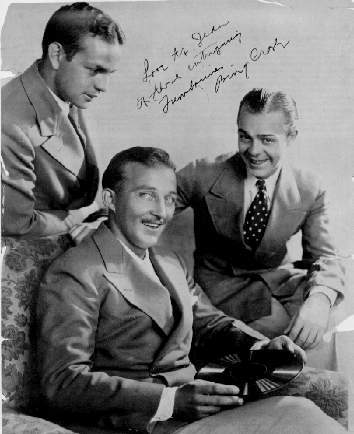 Bing was featured more and more as a soloist, and in 1931, Bing recorded his first solo hit, I Surrender, Dear with Gus Arnheim and his Cocoanut Grove Orchestra. 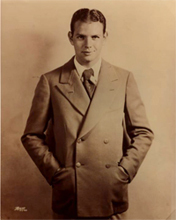 Radio broadcasts from the Cocoanut Grove made Bing a star, but his wild ways caused him to start missing performances, and Crosby’s pay was docked. The Rhythm Boys quit playing at the club, but the local musicians’ union banned them from playing, which caused the Rhythm Boys to call it quits. Bing’s solo career soared after the Rhythm Boys broke up. (below) In a documentary of Bing Crosby’s early singing career, including the period with the Rhythm Boys, Al Rinker is interviewed. Source unknown; seems to be part of a larger biographical work. 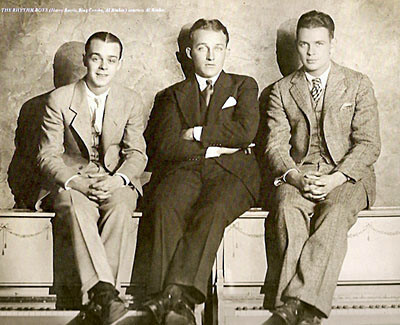 Recorded 13 February 1928 at Liederkranz Hall , New York, NY — Bing Crosby (voc, vbk), Paul Whiteman Orchestra (orc), Jack Fulton, Charles Gaylord, Austin Young (vbk), Bix Beiderbecke (cn), Steve Brown (sb), arr: Matty Malneck. Paul Whiteman and his Orchestra, featuring They Rhythm Boys (Bing Crosby, Al Rinker, and Harry Barris) with sax solos by Frank Trumbauer, cornet breaks by Bix Beiderbecke, and a hot clarinet solo by Izzy Friedman. Great Day (m. Vincent Youmans w. Billy Rose & Edward Eliscu) originally published as Great Day!, This is the title song of a 1929 Broadway musical composed by Vincent Youmans, with lyrics Billy Rose & Edward Eliscu. 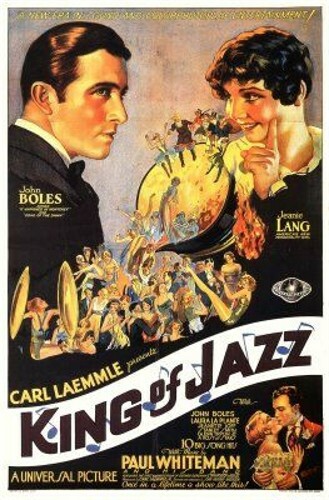 King of Jazz (1930). The Rhythm Boys performed the following songs in the film: Mississippi Mud, So the Bluebirds and the Blackbirds Got Together, I’m a Fisherman, A Bench in the Park, and Happy Feet. 1 — Introduced by the Rhythm Boys then taken over by Sisters G, Eleanor and Karla Gutchrlein. 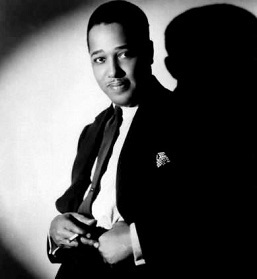 Musicians: Duke Ellington, p, a, dir:Arthur Whetsel, Freddy Jenkins, t / Cootie Williams, t / Joe Nanton, tb / Juan Tizol, vtb / Johnny Hodges, cl, ss, as / Harry Carney, cl, as, bar / Barney Bigard, cl, ts / Fred Guy, bj / Wellman Braud, sb / Sonny Greer, d / The Rhythm Boys (Bing Crosby, Al Rinker, Harry Barris), v trio. Hollywood, August 26, 1930. Everything’s Agreed Upon (authorship: ?) 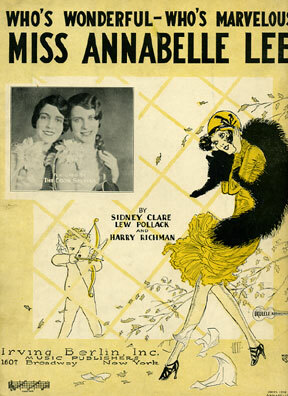 – redhotjazz.com reports only a recording of the song from a radio performance, on the Walter O’Keefe Show in May 1930. This is a wonderful collection. Congratulations for such good work. I think there might be a small error in the bio. Bing and Al Rinker were never classmates. Bing Went to Gonzaga High and Al to North Central High. Al never went to Gonzaga University. Thanks again for such a great collection. Thanks Bill, I greatly appreciate your kind comments as well as your help. One of the weaknesses of my site is that I’ve borrowed a lot of text (planning to replace a lot of it in time). Most of the time I read through any text prior to posting, or I at least catch the obvious errors fairly soon afterward, as I like to review my work. I’m not sure where you see the error though, unless it’s an error of omission. The bio I chose skips their high school years and only mentions that they worked together while in college, not even mentioning Gonzaga in fact. It does seem to imply that they were going to the same college I suppose. I’ll try to clarify that a bit. As I say this bio certainly doesn’t provide many details about their early years. But I plan to do a page, probably more than one on Bing’s solo career. There I will include a bio which might at the same time provide more details about Al Rinker and his sister Mildred Bailey. At this time though I haven’t found a good bio on Al Rinker. Might find some info in his sister’s bios. Here is an interesting article which you might enjoy. I had linked it, but you might not have found it. It’s kind of hidden in my sidebar links. (I’ve abridged the original title which included their birth and death dates). I’ve been organizing my files regarding, both, my father’s (Al Rinker) and aunt’s (Mildred Rinker Bailey) miscellaneous information in articles and publications everywhere – that now includes this “Rhythm Boy” site – and ran across the exchange regarding my dad attending North Central High – and not Gonzaga High with Bing. The truth is, my dad did get sent away to Gonzaga (he always referred to it as a boarding school (with my assuming it was the prep school; certainly not the college) with his brother Miles, where they resided and attended school for what could have been an entire school year. My grandmother had died when Dad was eight, with my grandfather remarrying their housekeeper who didn’t want the boys or Mildred living at home. This was an extremely painful episode in my father’s life, one that he talked about excessively throughout the whole of my childhood, with my grand dad eventually coming around to support his sons (Mildred left home at 17 to escape the new family dynamic) by ‘calling them home’ and divorcing the stepmom. Bing was about 6 years older than my father (around the same age as my Aunt Millie, who was, according to all my official ‘hard-copy’ family documents, most likely born in 1899 or 1900 … not in 1907, the year my father was born.) One bit of correct data, however, is that my father never attended college (as opposed to his older brother Miles who graduated from Northwestern University) … because he left Spokane with Bing right after high school which, at that point, was most decidedly – North Central. Thanks for kindly taking the trouble to set us straight on these matters, and for adding some rare details. It is my understanding that Gonzaga Preparatory School and Gonzaga High School refer, possibly at different stages of its development, to the same entity. The Wikipedia article on “G-Prep” indicates that it was founded as Gonzaga High School in 1887 in the basement of the Gonzaga University administrative building. However, I haven’t discovered whether the names were ever used interchangeably at the same time, or if and when one name superseded the other. If I’m correct that Gonzaga Prep and Gonzaga High School refer to the same school, then your explication suggests that while your father, Al Rinker, attended for a period the same secondary school that Bing Crosby attended and graduated from, due to several years difference in age they may not have attended the school at the same time. According to biography.com and Wikipedia, Crosby was 4 years and 7 1/2 months older than your father. However, school years can be skipped or repeated. So it is possible that Crosby’s senior year overlapped with your father’s freshman year at Gonzaga High (Prep), though it is not clear that he did spend his freshman year at Gonzaga. 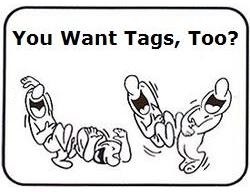 If you don’t mind my asking, during what year or years did your father attend Gonzaga? I just looked back and I see the line I mentioned was in a Red Hot Jazz profile. It says “the two dropped out of college”” — but I didn’t think Al Rinker ever went to college. It is too minor a point to worry about. I’m glad to hear you are going to add more info about Mildred Baily. I don’t know much about her.